China’s Tiangong-1 or ‘Heavenly Palace’ space station looks set for a fiery end some time in the next 12 months, threatening to rain down debris on a yet-to-be-confirmed location here on Earth. 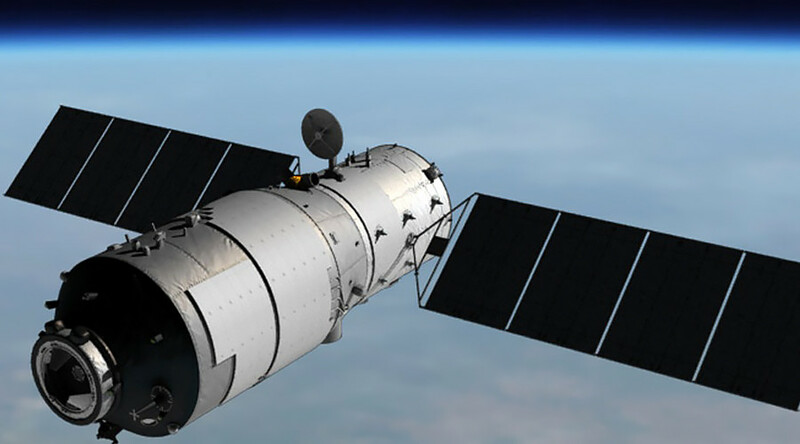 Launched in 2011, the 8.5 tonne (8,500kg) Chinese space station has been in a decaying orbit since it ceased functioning on March 16, 2016. Its current average altitude is roughly 349km (216 miles) above the Earth and it is dropping at a rate of approximately 160 meters per day. The majority of the craft will burn up in the atmosphere, however, several pieces weighing up to 100kg are still expected to slam into the Earth. China recently notified the UN Committee on the Peaceful Uses of Outer Space that it expects the station to crash between October 2017 and April 2018. While the Chinese government has vowed to closely monitor the station’s descent, it’s anyone’s guess as to where it will ultimately crash down. “The probability of endangering and causing damage to aviation and ground activities is very low,” Chinese's CNSA space agency said. Highly variable atmospheric conditions could literally mean the difference between debris falling on one continent or another, and the likelihood of injury is remote. For context, the Soviet Union's 20-tonne Salyut 7 space station and Cosmos 1686 spacecraft broke up over Argentina but no injuries were reported. “You really can’t steer these things,” McDowell said in 2016, as cited by The Guardian.